The 9-hole Hills Nine at Elkins Lake Country Club in Huntsville, TX is a private golf course that opened in 1971. Designed by Ralph Plummer, Hills Nine at Elkins Lake Country Club measures 6640 yards from the longest tees and has a slope rating of 130 and a 73 USGA rating. 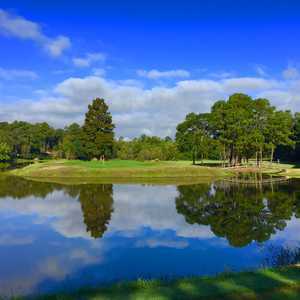 The 9-hole Lakes Nine at Elkins Lake Country Club in Huntsville, TX is a private golf course that opened in 1971. Designed by Ralph Plummer, Lakes Nine at Elkins Lake Country Club measures 6640 yards from the longest tees and has a slope rating of 130 and a 73 USGA rating. If architect Tripp Davis can pull off what he accomplished at The Tribute north of Dallas, golfers traveling to Huntsville will be extremely pleased to make the trip into the East Texas pines. 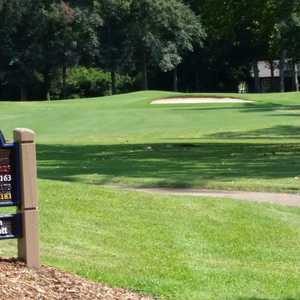 The 9-hole Ravines Nine at Elkins Lake Country Club in Huntsville, TX is a private golf course that opened in 2002. Designed by Jeffery D. Blume, Ravines Nine at Elkins Lake Country Club measures 6640 yards from the longest tees and has a slope rating of 130 and a 73.2 USGA rating.